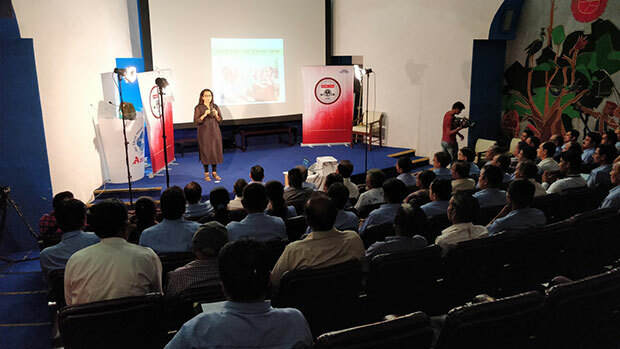 ET Now, the business news channel, in partnership with Kotak Mutual Fund, organised Financial Freedom Express Camps across Mumbai, Delhi and Anand as part of a build up to Season 2 of ‘SIP Day’. The aim of these camps was to educate Indians about the importance of investing in SIPs (Systematic Investment Plans) in order to ensure their financial security for the future. The first camp was organised July 25, 2017 at Amul Dairy, Anand, with milk producers, farmers and employees of Amul Dairy followed by the second camp that was held on July 29 at Chandni Chowk, Delhi with merchants and traders. To spread knowledge during the festive season, a camp was also conducted with the artists (designers, sculptors and painters) at the landmark area of Lalbaug’s Ganpati Pandals on August 4 in Mumbai. 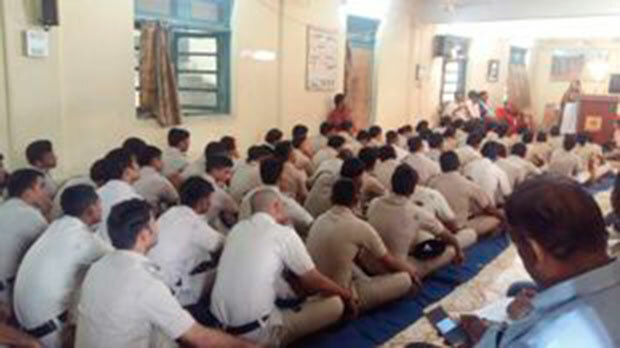 The final leg of this camp was conducted on August 8 at the RPF Grounds in Mulund, Mumbai, with Central Railway’s Railway Protection Force (RPF). The Financial Freedom Express camps were initiated to mark the commencement of the SIP Day campaign by Kotak Mutual Fund, in collaboration with ET Now, which will be held on August 18 in Mumbai. In sync with the theme i.e. Financial Freedom, these Financial Freedom Express camps were organised to reach out to specific groups or clusters of people, who may not have the best of financial advice at their disposal and in turn help them become financially sound and independent. The first Financial Express camp took place at the birthplace of the milk revolution, Anand, where milk producers, farmers and employees of the Amul Dairy were mobilised. Alpa Shah, a certified financial expert, spoke to the audience about the importance of investing in order to secure their future. However smart and aware, these farmers had limited knowledge about the available government schemes that could not only benefit them but their families in the long run. This camp provided the required exposure to the farmers and employees about different saving schemes that could help them secure their financial future. The second Financial Freedom Express Camp was conducted at Chandni Chowk, Delhi, with different merchants and trader groups where Sundeep Singhal, Certified Financial Planner, spoke about the plethora of available investment modes – SIPs, mutual funds, equities and the importance of investing as early as possible, in order to secure one’s future, their family’s future and their business, for the long haul. To tap into the festive season, the third Financial Freedom Express Camp was conducted in Lalbaug, Mumbai, where artists from different walks of life, who are devoting their time to creating tall statues of Lord Ganesha, were brought together in a small pandal and were given investment advice from financial expert, Alpa Shah. These artists, featuring a mix of designers, sculptors and painters, work on a seasonal basis. They earn their incomes based on the festive season. Organising such a camp with them for the first time, this camp drew out the best insights from these artists, as they were curious about investing in SIPs. Concluding the Financial Freedom Express Camps, the fourth and final camp was conducted with Central Railway’s Railway Protection Force (RPF). With ensuring the safety and security of passengers and putting their lives on the line, the RPF always have to live in caution. Financial expert, Alpa Shah, gave them the required insights on investing for the long term and securing their family’s financial future. In addition to the on-air coverage of the campaign on ET Now, a high decibel multimedia campaign aims to reach out to viewers across India through the use of print, radio, mobile, train, digital and social media promotions. Kotak Mutual Fund and ET Now’s main endeavour is to educate and empower every Indian on the benefits of investing with a small amount of money, demystifying Systematic Investment Plans, the power of compounding and the advantages of long-term investments to build wealth and safeguard their future.